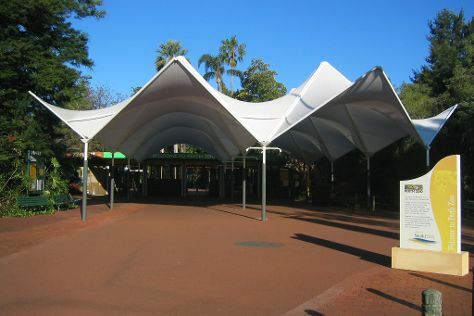 Kids will enjoy Perth Zoo and Adventure World Perth Australia. Change things up with these side-trips from Perth: Fremantle (The Fremantle Round House & Fremantle Prison) and Caversham Wildlife Park (in Whiteman). There's much more to do: admire the natural beauty at Kings Park & Botanic Garden, pause for some photo ops at The Bell Tower, stroll through Scarborough Beach, and explore the activities along Swan River. For more things to do, reviews, and more tourist information, refer to the Perth day trip site . Singapore, Singapore to Perth is an approximately 9-hour flight. You can also do a combination of bus and flight. Plan for much colder temperatures traveling from Singapore in June, with highs in Perth at 23°C and lows at 9°C. Wrap up your sightseeing on the 6th (Thu) to allow time to travel to Rottnest Island. Rottnest Island is an island off the coast of Western Australia, located 18km west of Fremantle. On the 7th (Fri), kick back and relax at Parakeet Bay, steep yourself in history at Oliver Hill Battery, then enjoy the sand and surf at Salmon Bay, and finally explore the striking landscape at Henrietta Rocks. On the next day, explore the gorgeous colors at Cathedral Rocks, then tour the pleasant surroundings at West End, then identify plant and animal life at Fish Hook Bay, and finally visit a coastal fixture at Bathurst Lighthouse. For more things to do, ratings, maps, and other tourist information, read our Rottnest Island trip itinerary planning website . You can do a combination of ferry and taxi from Perth to Rottnest Island in 1.5 hours. Other options are to ride a ferry; or do a combination of ferry and bus. In June, daily temperatures in Rottnest Island can reach 23°C, while at night they dip to 9°C. Wrap up your sightseeing by early afternoon on the 9th (Sun) to allow enough time to travel back home.